A great number of men suffer from skin problems caused by shaving. Without a doubt, one of the most common and troublesome problems in this category is the development of razor bumps. Visually unpleasant, itchy and often even painful, razor bumps are not superfluous or harmless. However, many do not know how to prevent them or take care of them after they appear. With that in mind, this guide will provide useful tips to help you get rid of razor bumps. Razor bumps (pseudofolliculitis barbae) are small, slightly painful bumps that develop on your skin after shaving. According to the American Academy of Dermatology, if they become infected, razor bumps can turn into folliculitis. Men who shave their facial hair tend to get them, particularly on sensitive areas. Often, razor bumps can be confused with pimples. Even worse, they can completely ruin an otherwise-attractive clean-shaven look. As if that wasn’t enough, razor bumps can also be painful and discomforting. 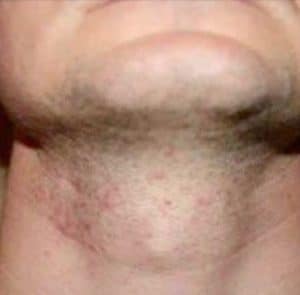 Unfortunately, men are more likely than women to develop razor bumps after shaving. The reason for this is that men typically shave their facial hair, often every day, and the skin of the face is particularly sensitive. Going a bit deeper, it can be mentioned that this problem statistically affects black individuals more than it affects Caucasians. There also seems to be a correlation between having curly hair and having a propensity for developing razor bumps after a shave. Very often, razor bumps are caused, at least partially, by razor problems. One such problem is using a dull razor. Apart from being ineffective, dull razors can be really harsh on your skin. The solution to this problem is to always shave with high-quality razors and never over-using them. Another problem arises when you use a dirty razor. As was previously mentioned, the texture of your hair can greatly increase the possibility of razor bumps appearing on your skin. Coarse and curly hair has a tendency to loop back inside the skin, forming ingrown hairs that may, in turn, give way to razor bumps. People who suffer dry skin also tend to get razor bumps after shaving. The reason for this is that dry skin is flaky and fragile, two conditions that make it especially sensitive to razors. Shaving against the grain means shaving in the direction opposite to how the hair grows. It is also one of the most common reasons why people get razor bumps. To avoid this, make sure you take the time to analyze how your hair grows and shave in the right direction. 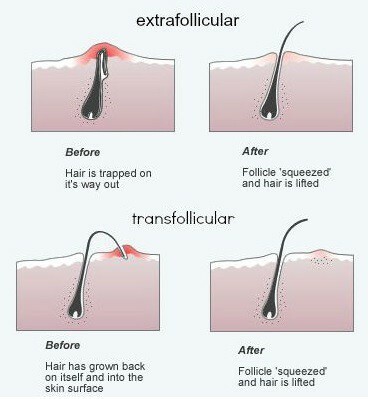 Extrafollicular razor bumps: take place when the hair turns around and grows completely inward. Transfollicular razor bumps: happen when the hair exits the skin before turning around and re-entering it. Avoid shaving or touching the area:Manipulating an already-irritated area of skin could cause further inflammation, irritation or infection. Cool compresses:In order to reduce itchiness and inflammation, you may place cool compresses on the affected area. Astringent liquids: Astringent liquids have been proven to help heal and restore skin affected by razor bumps. The most popular are apple cider vinegar, brewed black tea, tea tree oil and witch hazel extract. Natural oils:The sensations of itching, tenderness and burning produced by razor bumps can be alleviated with natural oils such as avocado oil, coconut oil, olive oil and sweet almond oil. 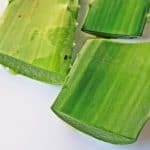 • Aloe vera: Various studies have proven that aloe vera has strong soothing and de-inflammatory properties that may help restore skin that has been affected by razor bumps. Baking soda:By mixing a cup of water with a tablespoon of baking soda, you can create a substance that will help affected skin heal and improve its condition. Over-the-counter lotions:There are various lotions and aftershaves that can help prevent and control both razor burn and razor bumps. Undoubtedly, razor bumps and razor burn can be more than just annoying. However, as this guide explains, there are measures you can take in order to prevent and, in the worst-case scenario, get rid of these problems.